This boutique hotel offers luxurious accommodations in the heart of theater, shopping, and dining. Pet-friendly and certified "green," this eclectic 161 room non smoking hotel is located near Union Square. The historic Campton Place is a 5-star, 110-room boutique hotel located near the Union Square entertainment district. The hotel is located in the heart of Union Square and has a complimentary business center. Located 2 blocks from Union Square, guest rooms have down bedding, flat panel TV's, and the hotel has free Internet. This 143 room boutique hotel features two pools, casual dining, and free high-speed Internet. Located near Union Square, the Victoria-style inn features free high-speed Internet, and free breakfast. The 137 room boutique Chancellor hotel is smoke-free and features a casual restaurant and bar. Originally a chocolate factory, the Fairmont features 1-3 bedroom rentals and residences. 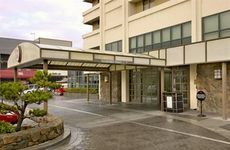 The eco-friendly hotel is located in the SOMA district and features high-speed Internet access. The non-smoking hotel is located in central San Fran and features a modern decor. The 26-story high rise hotel features 499 rooms with free high-speed Internet, restaurant, pool, fitness center. The contemporary hotel in Union Square features fine dining and a lobby lounge.